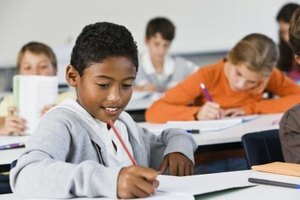 What Are Good College Essays? Make essay writing fun by turning it into a game. 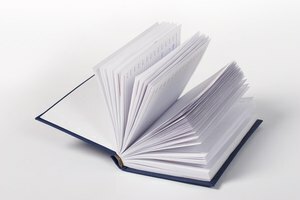 A standard essay contains five paragraphs: an introduction, three supporting paragraphs and a conclusion. 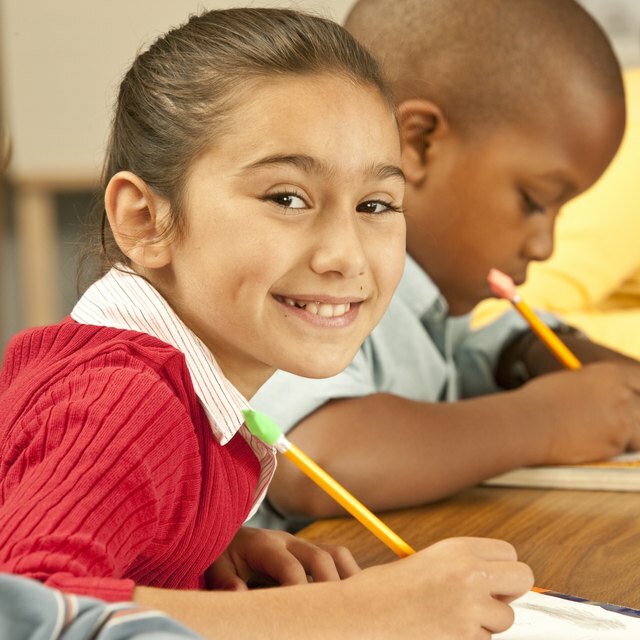 Students learn this format as early as elementary school and, with the heavy reliance on standardized testing, they are increasingly taught only this format for writing. Creativity can quickly become stifled by formulaic writing. Bring some fun back into writing by showing your students that essays can vary from the standard format, contain interesting introductions and details that delight readers, and end up being fun--rather than boring--to write. The key to reigniting your students' interest in the essay is to introduce essay-writing games. Perfect for middle school writers, the "Draw My Monster" game teaches kids the value of details in their descriptive essays. First, have each student draw a monster on a sheet of 8.5-by-11-inch paper. The monster should be drawn in color with the silly eyes, nose, mouth, ears, arms and legs of the student's choice. Tell the students not to show their monsters to anyone else yet. Next, the student must write a descriptive essay about the monster, going into enough detail that when another student reads it, she can recreate the monster on her own. Tell students to describe everything carefully, such as size, color, number of arms and legs, and the expression on the monster's mouth. To practice organization, have students describe the monster from top to bottom. Now comes the fun part--pass the essays around randomly to the other students in the room. Each student will have one essay (not his own), a piece of blank 8.5-by-11-inch paper, and colored crayons or markers. The students are to read the essays and recreate the monsters as described. Once the students are finished, they should find the original writer of the essay, compare monster drawings and see how well they did--both describing the monster and recreating it. Display the work on a bulletin board or wall, placing the essay on top and both the original and recreated monster drawings below it. Choose an outside judge or have students judge which monster drawings are the most similar, presumably because the essay written contains the best detail. Award a prize, such as a free homework pass or a monster pencil and eraser. Teenagers naturally feel that school is unfair, teachers are mean and parents don't understand them. Here's their chance to persuade one person--their teacher--to change something. Tell the teens that they are going to write persuasive essays about something they'd like to change in the classroom environment. Give them examples of things that are changeable, such as policies, classroom assignments, seating charts and novels studied, for example, and others that aren't, like homework requirements, grades and school rules, for instance. 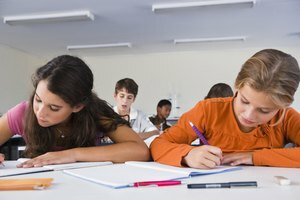 Ask them to write a persuasive essay, with the teacher as the audience, advocating for a specific change in the classroom. Go over the elements of a good persuasive essay before setting them loose to write their own. When the essays are finished, go through them and choose the best 10 (or more--your choice). Ask an independent judge (another English teacher or a writer or businessperson in your community) to choose the essay that makes the most persuasive argument. Copy that essay for all students and use it as a teaching tool in class, analyzing the structure of the essay, its thesis, argument, supporting ideas and conclusion. As a "prize" for the author of the winning essay, institute the change requested in the essay. Elementary school students love to talk about themselves--it's their favorite subject. Have them "write what they know" while making a game out of it. Talk about the structure of a narrative essay and then ask each student to write a narrative describing a typical day. Tell them to include many details, but do not write in anyone's names--their own, a brother or sister, best friend--because the class is going to try to guess who wrote each narrative. The more detail they provide, the more likely the class will be able to guess the narrative's author. Once all students have finished their narratives, collect them, shuffle them and pass them back out. Each student will now read a narrative (not his own) and the class will guess who wrote it, based on the detail and the events in that student's typical day. The class must listen to the entire essay before guessing, and when the correct author's name is voiced, that student should stand up. This game works well during the second half of the school year, after the students have gotten to know each other well. They'll love learning new things about their friends while they are learning to write a detailed narrative. Lachner, Deanne. "Essay-Writing Games." Synonym, https://classroom.synonym.com/essaywriting-games-5974979.html. Accessed 23 April 2019.